The shopping cart – it’s a typical tool that people use to shop for their weekly groceries. Right? Well, Guy Fieri needs a pretty big one to fit everything he needs. So he ended up bringing a giant shopping cart to the store. The results were bizarre. 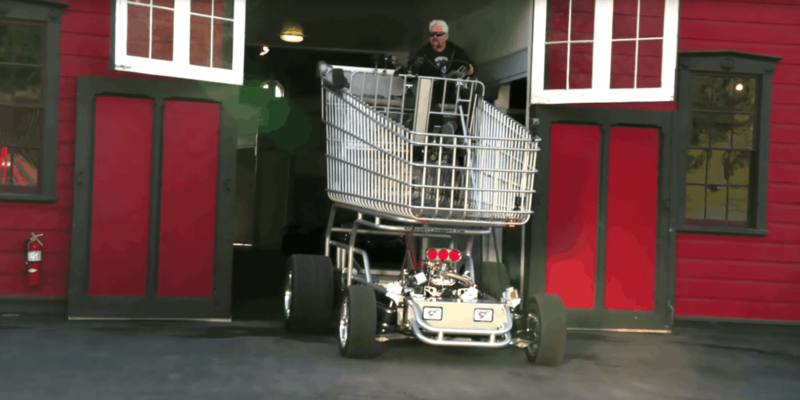 When Fieri appeared on an episode of Jay Leno’s show, he burst onto the scene with a stunning, 300-horsepower vehicle that is designed to look exactly like a shopping cart. The Mayor of Flavor certainly doesn’t play around when it comes to shopping. “It’s called the Express Lane,” Fieri said. 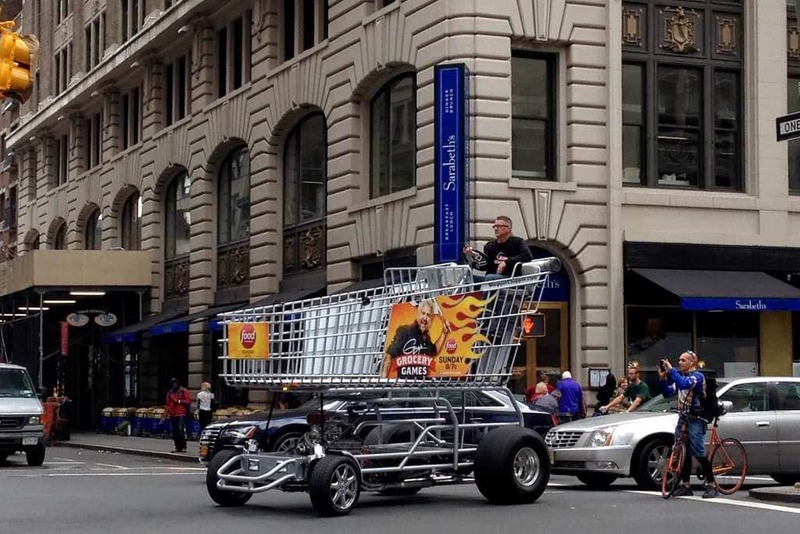 According to the Godfather of Garlic, his giant shopping cart has a Chevy 350 engine and is able to hold nearly 150 shopping bags. That’s the equivalent of over 3,500 beer cans! 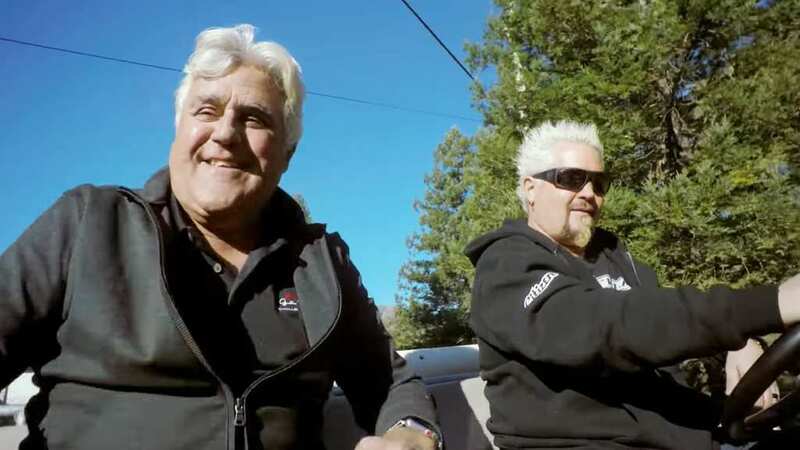 The host of Diners, Drive-Ins and Dives joined forces with Jay Leno, who couldn’t believe his eyes when Fieri pulled the monster cart out of his red garage. “Is this what you use to go shopping?” Leno asked. “Let’s go shopping!” And so they did. Leno excitedly jumped into the shopping cart with Fieri and the two celebrities went on the shopping spree of their lives. Of course, the ride didn’t come without its fair share of challenges. Fieri and Leno narrowly missed many branches and trees. On another day, they probably could have caused some serious damage. Apparently, the cart, known as the “Shopper Chopper,” was created by Cal VanSant and his son-in-law. They usually loan the cart for advertising purposes. One of those ads happened to be for Guy’s Grocery Games.